The Yokohama A048 provides racetrack perfomance whilst remaining road legal. Designed for sports cars during summer use, it provides exceptional grip and levels of perfomance in the dry. It's cutting edge design aims to give more precise control when cornering and a more responsive all round perfomance. A larger footprint offers superior levels of grip over it's predeccesors, and with so many perfomance features it's no wonder this is a firm favourite among track day and perfomance car enthusiasts. 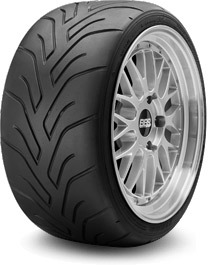 Medium compound tyre for a less rigid perfomance.